In what is certainly not a shameless attempt to capitalize on the success of Straight Outta Compton, Open Road has announced that it will be re-releasing Rick Famuyiwa’s Dope in theaters this weekend. This has absolutely nothing to do with the fact that both movies are about young people living in Los Angeles, and it has even less to do with the fact that both are based around ’90s hip-hop culture. After all, Straight Outta Compton is about people who actually lived in the ’90s. 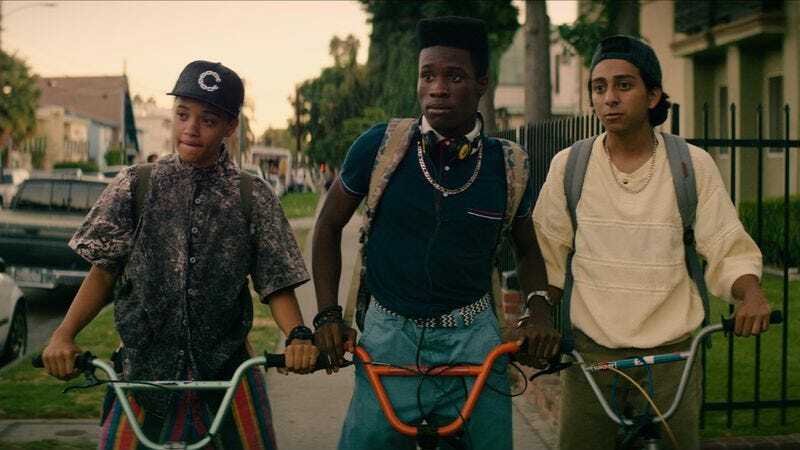 Dope is about a kid who thinks stuff from the ’90s is cool. This comes from /Film, which points out that Dope made about $16 million in its initial theatrical run earlier this summer, which isn’t nothing. But apparently Open Road paid about $7 million for the film at Sundance. That means the studio was probably hoping it’d be a bigger hit than it was, so whether this second trip to the theaters has anything to do with Straight Outta Compton or not, it’s still an attempt to get some money from people who don’t want to see Transporter: Refueled or whatever.